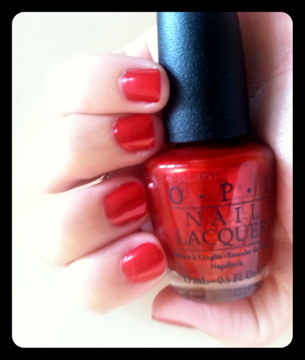 This color is like having Dorothy's Ruby Red slippers in a bottle. It has the perfect subtle, sparkly shimmer and shine, and the prettiest deep red I've seen in a polish in a long time. I can't say that my iphone camera did it the justice it deserves, but once you see it in the bottle and on your nails, you'll become a true fan. I sure am. I LOVE this nail polish! I followed, but I'm not 100% sure how a blog hop works?